Christmas Eve 2017 represents Key Ministry’s fifteenth birthday. On behalf of our Board and ministry team, we extend our thanks to everyone who has generously supported us through their time, talent, treasure and prayer. You all share in whatever success we’ve experienced in extending the love of Christ to families of kids with disabilities. Best Wishes to you and your family for a Merry Christmas and a Blessed and Joyous 2018! Tonight and tomorrow morning, Christians everywhere will gather for worship to honor God for providing us the greatest gift of all…the gift of Jesus, who through atoning for our sins made it possible for us to be in relationship with God and to enjoy His presence forever. As I found a little time to reflect upon my blessings today, I found myself thinking about another gift God’s given to me and many of my friends – a gift I hope more of our readers are able to explore and enjoy during the year ahead. 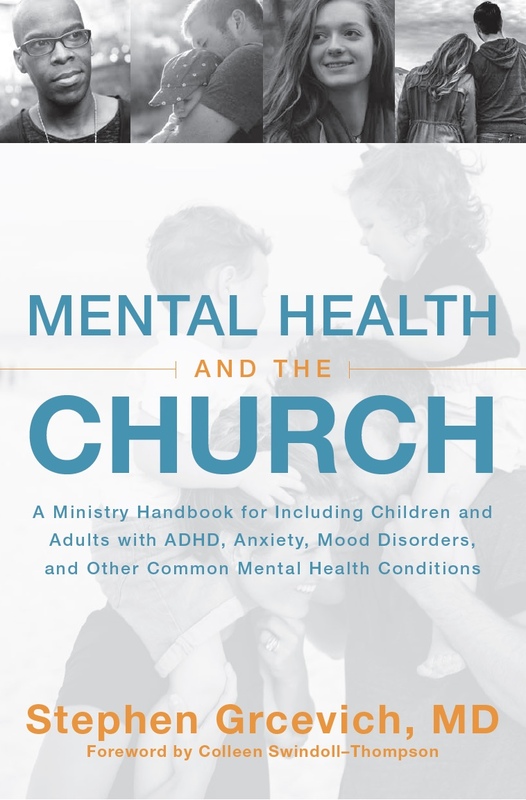 I was fortunate to find a church as an adult that encouraged each member of the congregation to identify opportunities for ministry and provided the resources, support and encouragement necessary to do ministry. The Catholic scholar Timothy George wrote about the priesthood of all believers as a cardinal principle of the Reformation. Here, he examines the teaching of Luther and Calvin regarding the rights and responsibilities of individual Christians with regard to personal ministry. But for Luther, the priesthood of all believers did not mean, “I am my own priest.” It meant rather: In the community of saints, God has so tempered the body that we are all priests to each other. We stand before God and intercede for one another, we proclaim God’s Word to one another and we celebrate his presence among us in worship, praise, and fellowship. Moreover, our priestly ministry does not terminate upon ourselves. It propels us into the world in service and witness. John Calvin interpreted the priesthood of all believers in terms of the church’s participation in the threefold office of Christ as Prophet, King, and Priest. Specifically, every Christian is mandated to be a representative of Christ in his redemptive outreach to the world: “All believers … should seek to bring others into the church, and should strive to lead the wanderers back to the road, should stretch forth a hand to the fallen and should win over the outsiders.” In other words, the priesthood of believers is not a prerogative on which we can rest; it is a commission which sends us forth into the world to exercise a priestly ministry not for ourselves, but for others—“the outsiders”—not instead of Christ, to be sure, but for the sake of Christ and at his behest. For Calvin, the priesthood of all believers was not only a spiritual privilege but a moral obligation and a personal vocation. One of my greatest joys over the past fifteen years of serving through Key Ministry has involved the opportunity to provide some wonderful people with a platform for doing ministry. We have an incredible team of writers who produce new articles and posts that offer encouragement and support to tens of thousands of families each month. We’re looking forward to twelve new voices joining our team in 2018 as the work of SNAPPIN’ Ministries continues under our umbrella. I’m especially looking forward to the opportunity to gather together on April 20-21st for Inclusion Fusion Live when dozens of fabulous leaders and speakers, most of whom are not ordained clergy or ministry professionals will come together in suburban Cleveland to help churches connect with and bless families impacted by disability. Here’s my question to you as 2017 comes to a close and 2018 promises new opportunities. Will you embrace all of the gifts God has given you in the year ahead, including the ability to serve and represent Jesus in extending his love to those who are hurting? Is this the year you’ll respond to the small, still voice calling you out of your comfort zone to respond to the needs God has placed before you? Let us know how we might encourage and support you if your next step involves sharing the Gospel with families struggling as a result of physical, mental health, intellectual or developmental disabilities. Key Ministry is celebrating fifteen years of connecting churches and families of kids with disabilities for the purpose of making disciples of Jesus Christ. The costs of providing free training, consultation, resources and support to church leaders and families has again outstripped our revenues. Please consider helping us continue our work through a financial gift of $15, $150 or $1,500 if you’re able to help us cover our budget shortfall in 2017 and expand the work of our ministry in 2018 and beyond! This entry was posted in Key Ministry, Leadership and tagged Christmas, gifts, Inclusion Fusion Live, Key Ministry, ministry, service, Snappin' Ministries. Bookmark the permalink. I would like to personally congratulate you as your blog Church4EveryChild has been selected by our panelist as one of the Top 40 Children’s Ministry Blogs on the web. I personally give you a high-five and want to thank you for your contribution to this world. 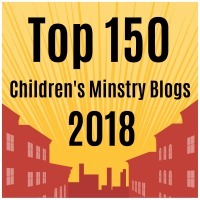 This is the most comprehensive list of Top 40 Children’s Ministry Blogs on the internet and I’m honored to have you as part of this!